Finding a great primary care provider is important. But it isn’t always easy. From compatibility and availability, to insurance plans and office atmosphere, there are a number of factors to consider when choosing a provider. 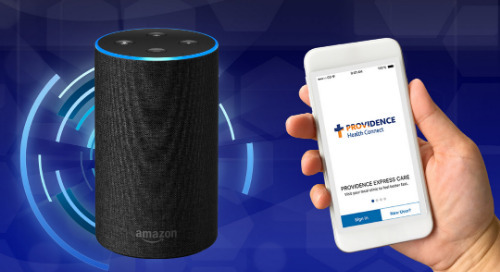 For a little guidance, we asked a handful of Providence doctors to share their insight on what they personally look for when choosing a physician, and for practical advice on ways patients can find a doctor that best fits their needs and the needs of their families. Here’s what they had to say. Dr. Cadena-Forney practices family medicine at Providence Medical Group in Snohomish. “For me, open communication is so important – as a physician and as a patient,” says Dr. Cadena-Forney. Beyond the doctor/patient relationship, Dr. Cadena-Forney also suggests you ask yourself if there are additional factors that you require from your provider. “Also, how do you like the office staff? Are they friendly and personable? What about the nurses? Do you feel like they are people who care about you?” says Dr. Cadena-Forney. Jonathan is a pediatric urologist for Providence in Spokane, Washington. Jennifer practices pediatrics at Providence Pediatric Associates in Spokane. “For our family, one of the most important things we look from in a physician is good bedside manner and a good listener,” says Dr. Jonathan Kalisvaart. Dr. Kalisvaart also explains why it’s so important to find a doctor who makes you comfortable. “Along with word-of-mouth references, a good place to start finding a provider is by calling the office front desk,” says Dr. Jennifer Kalisvaart. Dr. Jennifer Kalisvaart also talks about what to do if you’re unhappy with your provider. Dr. Kasey Harbine is a hospitalist at Providence St. Patrick Hospital in Missoula, Montana. But Dr. Harbine realizes not everyone is looking for these same characteristics in a doctor. “In my position, I’m frequently asked to make recommendations. But, what I look for might not be what other people need from their physician. I always take this into account,” explains Dr. Harbine, who instead emphasizes the importance of word-of-mouth recommendations from the people we know best.